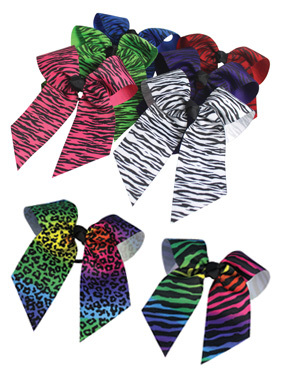 Animal print hair bow 2.25" wide x 5" long per bow with a ponytail holder. 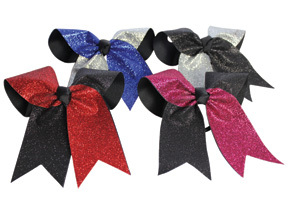 Glitter twister hair bow 2.25" wide x 5" long per bow with glittery fabric fused on ribbon 2 color combination and a ponytail holder. 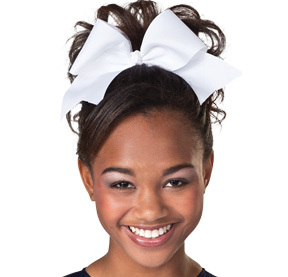 Hype hair bow 100% polyester ribbons in traditional style bow with 2 color bow with three tiers of ribbon and solid center knot. Covered black elastic, no metal ponytailer. 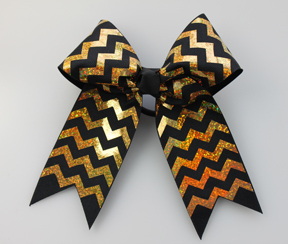 Chevron deco metallic sparkle hair bow. Purchase as a companion to Pizzazz Wear #2800-CM Cheveron metallic briefs. 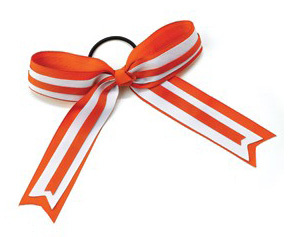 Basic short tailed hair bow 7" wide x 5" long with a ponytail holder. 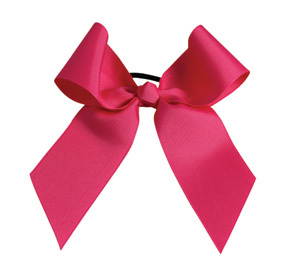 Large solid one color hair bow 2.25" wide x 5" long per bow with a ponytail holder.